Back in 2013, I quite literally stumbled across twenty one pilots at Reading Festival, while trying to escape the rain. Their performance blew me away with their high octane performance complete with onstage acrobatics, intoxicating music, and striking stage presence. Their debut album- Vessel, was really pretty good, if not a bit scattered, but still impressive. Fast forward to 2015, and I just noticed the genre-blurring duo from America nipping into the UK albums charts. Like Vessel, Blurryface makes it no easier to categorise or assign any kind of a genre to twenty one pilots. Rap, rock, pop, thrash, synth pop, R&B, indie, electro, soft rock, they’re all in here- leaving you comparing artists from Modestep to Mika to CVHRCHES to The Killers. To many this may put you off, but while there is definitely a lot going on, it means there is never a dull moment. The sombre and vocally-helmed Stressed Out trudges along chords and percussion chugging, The Judge doing pretty much the same thing, as does Polarise. Then I realise that despite all the different sounds going on- the formula and structure is very similar throughout the entirety of the project. A flicker of reggae on Message Man, a glimmer of drum and bass on Lane Boy, a flash of indie on We Don’t Believe What’s on TV, they’re all deployed as as disguises for variation, when really, the 14 track project is a whole lot of repetition. Just flipped ever so slightly. twenty one pilots are an alluring pair of musicians. 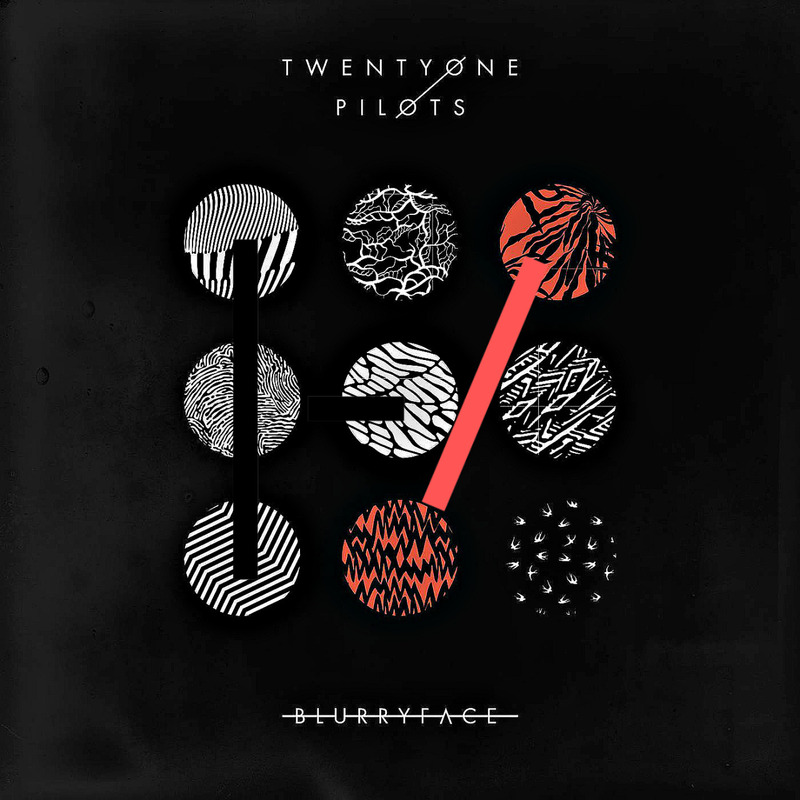 Their formula is difficult to get a grasp of, and that’s made no easier with the release of Blurryface. Their intentions and approach to songwriting can be admired, and the exciting layering to their songs are unpredictable and keep you interested. I’m still sceptical-to-unconvinced with Joseph has a rapper, but as a vocalist and performer, you have to give it to the guy. Nondirectional, unclear, jaded and scattered, but something about twenty one pilots and their mismatched approach continue to intrigue.